The Member of Parliament, MP, for Kumbungu, Ras Mubarak is asking the Inspector General of Police, David Asante-Apeatu to step down over the violence that marred the by-election in the Ayawaso West Wuogon constituency last week. He said the IGP must resign honourably because he has been unable to identify and apprehend the perpetrators of the disturbances at the by-election. According to the MP, the most appropriate thing the IGP is supposed to do is to resign since he has been unable to bring to book all the unidentified men who were using the police vehicles and weapons during the by-election. “Speaking of the Ghana Police Service, I think the IGP would do the honourable thing and tender his resignation because his continuous stay as IGP has become very untenable, especially in the light of conflicting reports between the police and National Security,” he said. 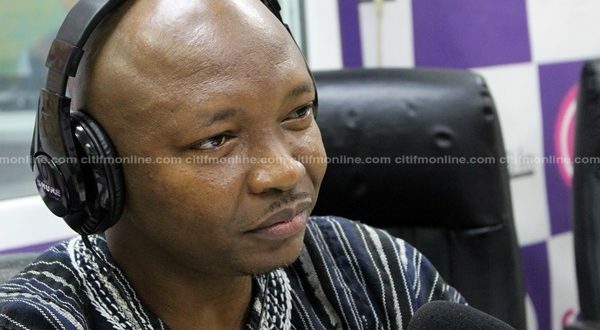 Speaking on the Eyewitness New on Friday, Ras Mubarak said the position the minority is taking on the commission of enquiry probing the Ayawaso West Wuogon by-election, is in the interest of Ghanaians. It has not been an easy few months for the Inspector General of Police, David Asante Apeatu as the country has been beset by a plethora of violent incidents that have citizens worried about their general security. The current state of distrust and worry was heightened recently by the incident at La Bawaleshie on the day of the Ayawaso West Wuogon by-election where clashes between the security team and some NDC supporters led to the shooting of one person who is currently on admission at the 37 military hospital and injuries to several others. The initial response from the Ghana Police Service over the activities of several hooded and heavily armed individuals, purportedly deployed from the offices of the national security to wreak chaos during the election was denial. Subsequent events supported by video footage from the scene, however, indicates that denial is not enough and the police command, headed by the IGP have questions to answer. Government subsequently set up a commission of enquiry chaired by former Commissioner of the Commission on Human Rights and Administrative Justice, Emile Short to probe the violence. The commission has just a month to finish the investigations and present its report.